Installing a car seat can be a challenge, but it's important to get the installation right so that the car seat can work properly in a crash. 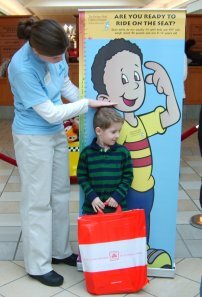 Safe Kids Maine conducts a variety of free public events statewide in partnership with hospitals, fire departments, police departments, and other agencies and organizations. Our Safety Van is fully equipped to conduct a car seat inspection event in any city or town in Maine! Our Car Seat Inspection Stations are open year-round inside heated buildings where your vehicle is brought inside and out of the weather. 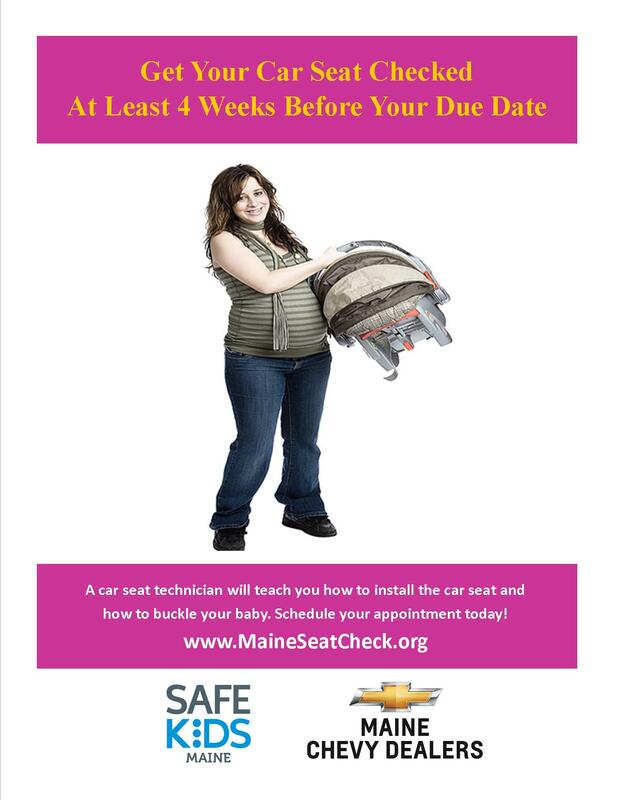 All Safe Kids Maine Car Seat Inspection Stations are staffed by Certified Child Passenger Safety Technicians. Please bring your car seat's instruction manual and the vehicle owner's manual, if available. Why should you have your car seat inspected? Appointments are not required but they are strongly recommended! Having an appointment guarantees your spot, shortens your wait time, and allows us to prepare for your arrival! Arriving at an event without an appointment risks the possibility that we might not be able to fit you in if we have a full appointment schedule or you may be subjected to a long wait time. Schedule your appointment today! 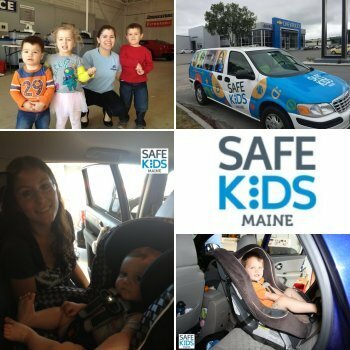 What to expect at a Safe Kids Maine car seat inspection. 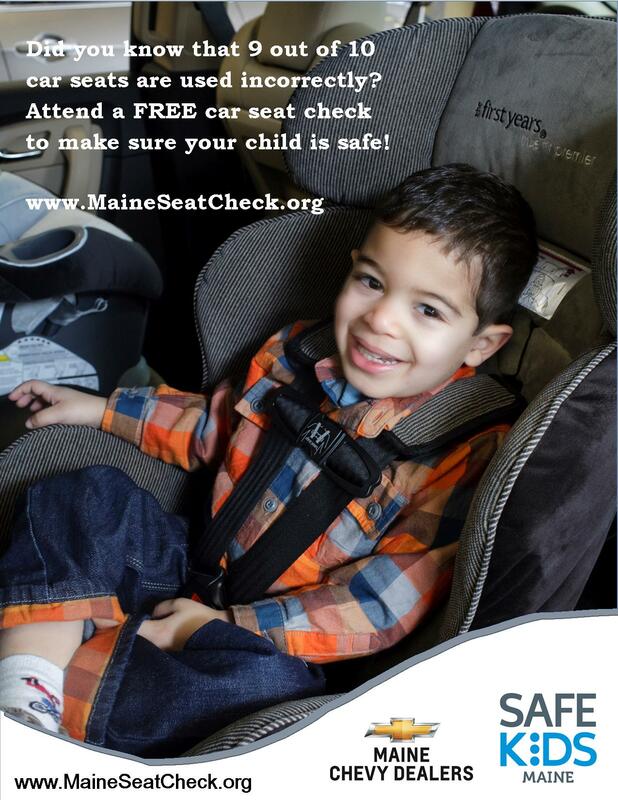 Are you interested in sponsoring a Safe Kids Maine Car Seat Inspection Station or Checkup event? We recommend that you have your car seat checked at least 4 weeks before the baby's due date. You do not have to have the car seat installed. We can teach you how to use your car seat straight from the box! If you are a currently certified Child Passenger Safety Technician or Instructor and would like to help check car seats at one of our events, please sign up to attend here. 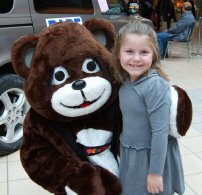 Safe Kids Maine is a program of the Tall Pine Safety Resource Center, a 501(c)3 tax deductible nonprofit organization. Our programs rely on donations to continue our services. You may make an online donation at the following website. THANK YOU!! Get the latest news from Safe Kids Maine from our Facebook page!